Tuberculosis is an infectious disease caused by a bacterium named Mycobacterium tuberculosis. It most commonly affects the lungs but can also affect other organs in the body. (ii) Extrapulmonary - skin, pleura, central nervous system, lymphatic system, genitourinary system, bones, and joints. They are primarily classified as latent or active. Latent TB: The bacteria stay in the body in an inactive state and cause no ongoing symptoms but can get reactivated at a later stage causing active symptoms. I have suffered with tuberculosis(Koch's disease)last year. Now I am getting the same disease back. Will I transmit TB to my partner after completion of the TB medicine? How long should I take treatment to dissolve a tuberculosis lump? Active TB: The bacteria are active causing symptoms and at this stage, can be contagious (spread to other people). It spreads through the air. When a person with active TB infection, coughs, sneezes, talks or spits, the infected droplets containing the bacteria enter into the air and can get into a healthy person and infect them when they breathe the same air. Although this sounds scary, it does not spread so easily to all, it takes some time and repeated exposure. For example, someone living in the same house or working at the same office as an infected person is at higher risk. Immunocompromised states such as HIV. Family and friends of a person with TB. If you have an active TB infection, be sure to wear a special mask until treatment completion to prevent spread to near and dear ones. Keep away from school or work to minimize exposure to others around you. - CT scan, lung biopsy, and bronchoscopy may be ordered if other tests are inconclusive. Special antibiotics are needed to treat TB. The regimen includes three or more drugs in a combination depending on your age, symptoms, and general health. These drugs have to be taken on a long schedule of four to six months or more as these bacteria are quite resistant and not easy to clear off from the body. It is important to complete the entire duration of the course as prescribed by your doctor. Many patients discontinue the treatment halfway when they have no more symptoms. But the bacteria would not have been completely eliminated and discontinuation can cause reactivation and relapse. 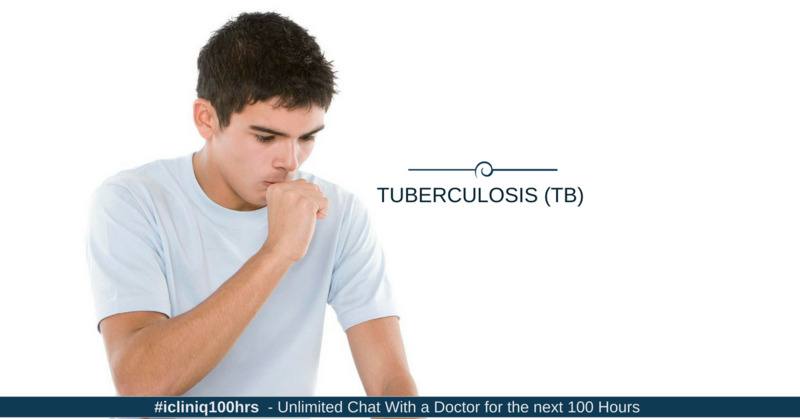 If you notice TB symptoms, consult a healthcare professional at the earliest. Do you have a question on Tuberculosis or Anti Tubercular Drugs? Why is my 1-year-old daughter having high absolute lymphocyte count? Am I suffering from tuberculosis? Please clarify from my CT report.